Finished Size: 43cm / 17inches long. 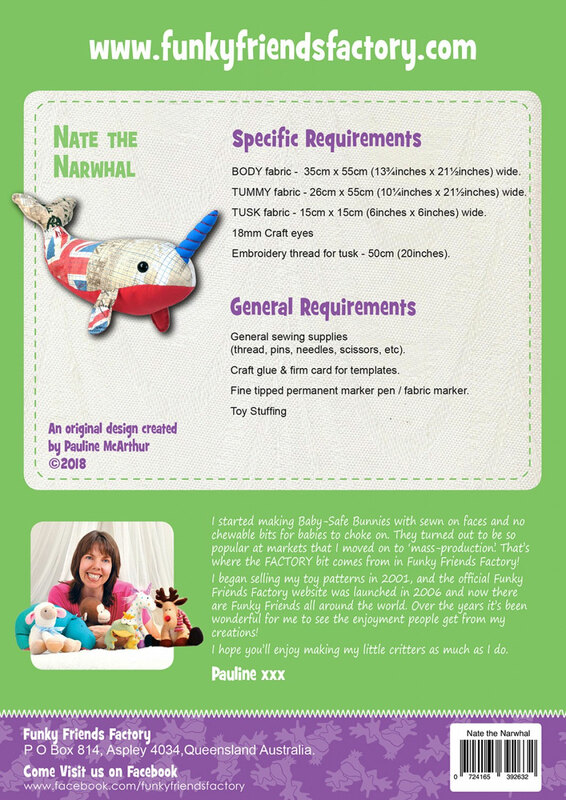 Nate is actually quite timid despite his rather ferocious-looking, sword-like spirally tusk! 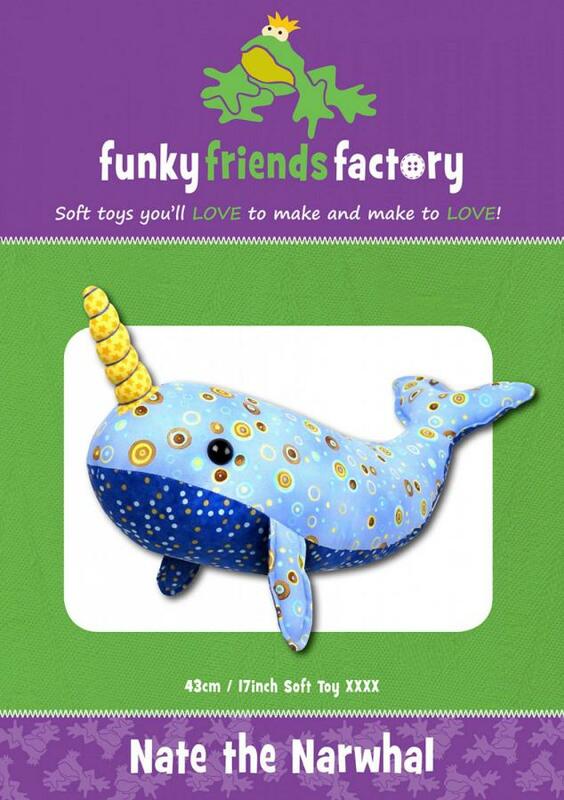 He IS a real sea creature but we like to think of him as a unicorn of the sea! 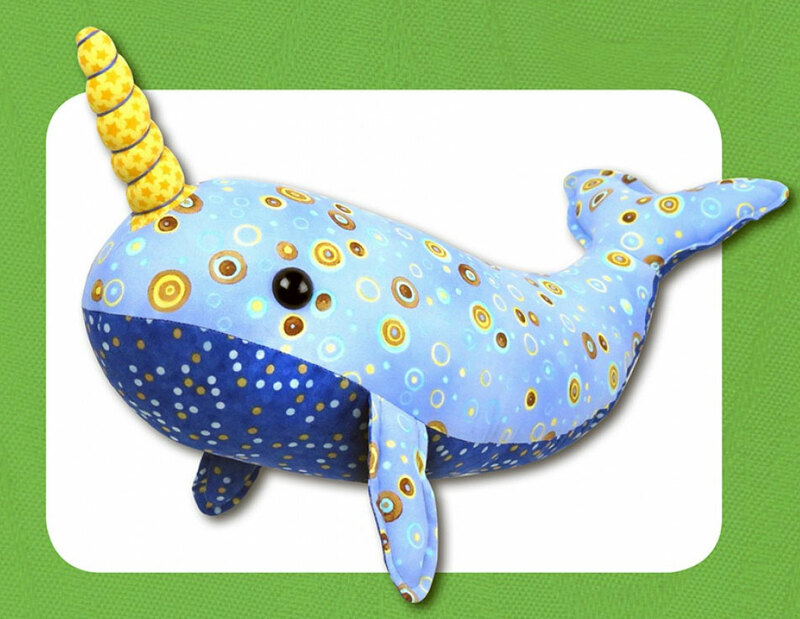 This quirky creature is a quick and easy pattern to sew. He looks awesome in any color and makes a great present for those hard-to-buy-for people. 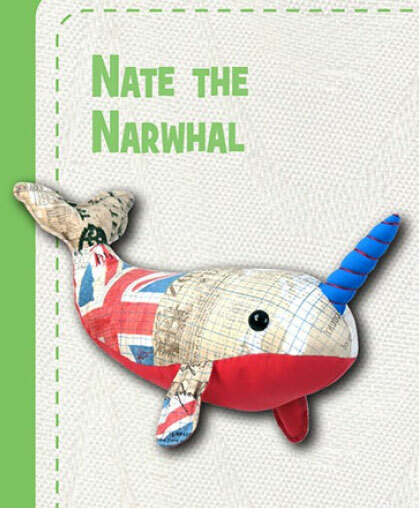 Everyone needs their own Narwhal right? !